Jaye Leah Plumb, Alyssa Marie Reinking, Alicia Chanes Rodriguez, Marvin Joubin Rositzki, Kyungmin Ryu, Nicole Yukiko Saito, Shelby Blue Steele, Garnett Gani Stone Jr., Jaron Takeo Sugimoto, Adam Robert Swope, Nolan Anthony Cruz Taianao, Jubylen Godoy Teehee, Calvin Daishi Uemura, Onosa`i Va`a, Sienna Lynn Wareham, Thomas Edward Warren III, Travis Keoni Winters, YingYan Sun Wong, Kristen Michie Yagi, Tahiya Zaman and Yuye Zhao. A University of Hawaiʻi at Hilo research group supported by Hawai‘i Island legislators is urging more control measures be taken to lower the risks of the spread of rat lungworm (RLW) disease. Findings of a study headed by the Rat Lungworm Working Group at the UH Hilo Daniel K. Inouye College of Pharmacy (DKICP) are described in a paper entitled “High prevalence of Angiostrongylus cantonensis (rat lungworm) on eastern Hawai‘i Island: a closer look at life cycle traits and patterns of infection in wild rats” published in the journal PLOS ONE. “Our study showed almost 94 percent of the rats in the Hilo area are infected with RLW,” said Susan Jarvi, director of the working group who has been researching the progress of the disease for more than six years. More than 30 other countries report data on RLW, including Australia, Brazil, Thailand and China. Jarvi suggests that due to the lack of diagnostic tools and difficulty in diagnosis, the disease may be underreported. Her group has been adding to the scientific evidence that gives legislators in Hawai‘i the proof they need to become more involved. RLW disease is a parasitic infection that reproduces in rats and is transferred to slugs and snails, which can, if ingested intentionally or not, infect people. While symptoms can be mild and flu-like, there have been cases that have resulted in long-term disability and even death. Researchers in this study examined a total of 545 wild rats from multiple sites in the South Hilo District of east Hawai‘i Island. Through evaluation of multiple stages and locations of development of the infection with A. cantonensis, they were able to determine prevalence, and examine patterns of infection. The purpose was to determine how these data can be used to improve risk assessment and guide research development to better prevent and control human infection. DKICP and the Hawai‘i Community Foundation – Medical Research supported research in this study. Authors were from DKICP: Jarvi, Stefano Quarta, Steven Jacquier, Kathleen Howe, Deniz Bicakci, Crystal Dasalla, Noelle Lovesy, Kirsten Snook and Robert McHugh; and Chris N. Niebuhr from the U.S. Department of Agriculture Animal Plant Health Inspection Service’s National Wildlife Research Center, Hawai‘i Field Station in Hilo. The University of Hawaiʻi at Hilo announced the appointment of a new director of campus security. Effective Nov. 6, 2017, Richard Murray will take over the position. Murray brings to UH Hilo more than 16 years of experience in college security administration in Hawaiʻi. He is currently the safety and security manager at Honolulu Community College, where he is responsible for all safety, security and emergency preparedness programs in addition to supervising and providing in-service training for campus security officers and contracted security guards. He held the same title and responsibilities at Windward Community College from January 2011 until he assumed the HCC post in July 2016, and previously served as associate director of security and safety at Hawaiʻi Pacific University beginning in October 2001. UH Hilo Security is responsible for providing 24-7, year-round security for the campus, including routine patrol duties, parking and traffic enforcement, conducting investigations, responding to emergencies and alarms, communicating emergency notifications, as well as securing rooms and buildings. Rep. Tulsi Gabbard’s Off Fossil Fuels for a Better Future Act (OFF Act) is gaining traction in Congress with eleven new House cosponsors since it was first introduced in September. The act is based on Hawai‘i’s legislative mandate aiming for 100% clean energy and would put the U.S. on track to completely replace fossil fuels with clean energy sources by 2035. The OFF Act builds on a growing number of state initiatives designed to address climate change head-on by focusing on clean energy alternatives. Congresswoman Tulsi Gabbard’s OFF Fossil Fuels for a Better Future Act, H.R. 3671 is currently supported by environmental advocates and co-sponsors including Reps. Jamie Raskin (MD-08), Barbara Lee (CA-13), Nanette Barragán (CA-44), Ted Lieu (CA-33), Jan Schakowsky (IL-09), Keith Ellison (MN-05), Jerrold Nadler (NY-10), Luis Gutierrez (IL-04), Eleanor Holmes Norton, (DC-AL), Rosa DeLauro (CT-03), Zoe Lofgren (CA-19), Grace Napolitano (CA-32), Bonnie Watson Coleman (NJ-12), Mark DeSaulnier (CA-11), and James McGovern (MA-02). The University of Hawaiʻi at Hilo College of Continuing Education and Community Service (CCECS) offers adult and keiki printmaking workshops on Saturday, November 18 on the Manono Campus, Building 389. The “Manono” Building is considered to be located at Hawaii Community College. Art for Keiki: Encaustic Monotype Printing is for ages 6-11, and will be held from 8:30 am-10 am. Cost is $45 and includes all required supplies. Art for Everyone: Encaustic Monotype Printing is for ages 12 and up, and will be held from 10:30 am-12:30 pm. Cost is $55 and includes all required supplies. Encaustic monotype printing is a fun and simple way to produce quick, colorful works of art with bees wax, damar crystals, and ground pigments. Participants will take home multiple prints and will mount a single piece on a wood panel as a completed work of art ready for display. Instructor Kevin Diminyatz received a Masters of Fine Arts in Painting from Mills College and a Bachelors of Fine Arts in Printmaking and a minor in Art History from Sonoma State University. He is currently a lecturer in the Art Departments at UH Hilo and Hawaiʻi Community College. For more information and to register, contact CCECS at 932-7830 or visit http://hilo.hawaii.edu/ccecs/. 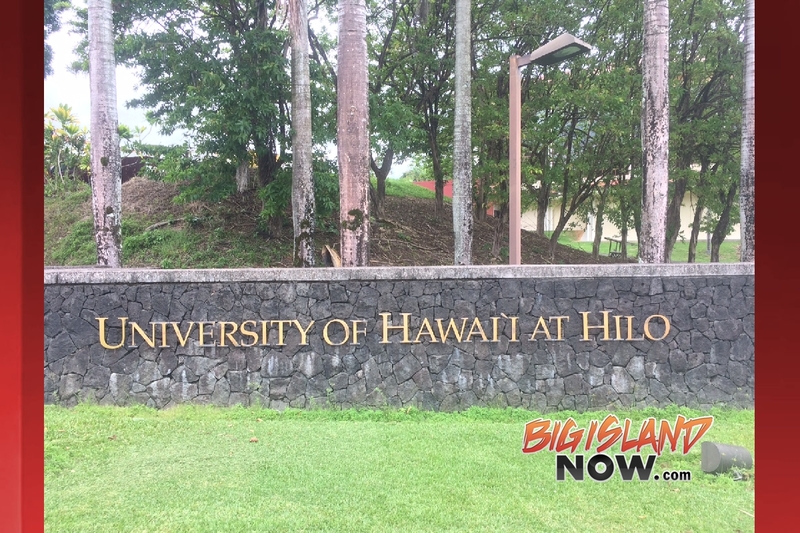 In a recent study published by WalletHub, the University of Hawaiʻi at Mānoa was ranked the top college and university in Hawai‘i followed by the University of Hawaiʻi at Hilo and Chaminade University of Honolulu. To help college-bound seniors choose the best schools within their states, WalletHub’s analysts compared nearly 1,000 higher-education institutions in the U.S. based on 26 key measures grouped into seven categories, such as Student Selectivity, Cost & Financing and Career Outcomes. The data set ranges from student-faculty ratio to graduation rate to post-attendance median salary. The University of Hawaiʻi at Hilo Performing Arts Center (PAC) presents the Okareka Dance Company of New Zealand‘s all-female production MANA WAHINE, on Tuesday, October 24 at 7:30 p.m.
Their performance combines dance, theatre and film to tell the true life story of Te Aokapurangi, a young maiden from Rotorua. Captured in battle by a tribe from the far north, she returns many years later to single-handedly save her people from slaughter, as well as experiences within their own lives. “MANA WAHINE is a vision of strength that empowers women around the world, and above all, a rich fusion of choreography, music, tikanga, Maori and performance practices, video projections, lighting and performance design . . . enriched and enlivened by the dancing of five powerhouse performers,” wrote Raewyn Whyte of Theatreview Magazine in New Zealand. Tickets are reserved seating and priced at $25 General, $20 Discount and $12 UH Hilo/Hawaiʻi CC students (with a valid student ID) and children, up to age 17, pre-sale, and $30, $25 and $17 at the door. Tickets are available by calling the UH Hilo Box Office at 932-7490, Tuesday – Friday 10 a.m. – 2 p.m., or ordering online at artscenter.uhh.hawaii.edu. Two interns from the University of Hawaiʻi at Hilo Marine Option Program (MOP) have recently returned from a 25-day expedition to the Northwestern Hawaiian Islands, where they took part in the 2017 Reef Assessment and Monitoring Program (RAMP) cruise conducted by the National Oceanic and Atmospheric Administration (NOAA). School of bigeye trevally (Caranx sexfasciatus) and a NMFS PIFSC CRED diver conducting fish counts at Swains Island, American Samoa, as part of the Pacific Reef Assessment and Monitoring Program (Pacific RAMP). NOAA photo by Ben Ruttenburg of NMFS SEFSC. UH Hilo’s Roseanna (Rosie) Lee and Keelee Martin were joined by UH Mānoa MOP intern Colton Johnson aboard the Research Vessel Hi’ialakai on the journey to Papahānaumokuākea Marine National Monument (PMNM), where they worked alongside regular NOAA divers as full members of survey crews, conducting Rapid Ecological Assessments (REAs) of reef fish, corals and non-coral invertebrates. Their work was guided by NOAA scientists and researchers from Papahānaumokuākea, the Pacific Islands Fisheries Science Center, Joint Institute for Marine and Atmospheric Research and UH Hilo. The survey crews visited Lehua, French Frigate Shoals, Laysan Island, Lisianski Island, Pearl and Hermes Atoll, Midway Atoll and Kure Atoll within Papahānaumokuākea to conduct their various activities. The results of their research will help scientists gain a better understanding of the health of coral reef ecosystems throughout the archipelago. Martin worked on the benthic (sea floor) team that counted, measured and assessed the health of the coral reefs, which are home to over 7,000 marine species. She said the experience made her a better diver, scientist and team player. “This was a humbling and gratifying opportunity that allowed me to work in an area few people will ever see alongside acclaimed scientists mentoring me the whole way through,” Martin said. Lee was assigned to the fish survey team, whose work included identifying, counting, and sizing fish for set intervals of time and taking photographs of their habitat. She is now a far more confident researcher and scientific diver. “The kind of experience you get by jumping into the field and actually getting to do the same work as the established scientists you are working with is a learning experience you can’t get any other way,” Lee said. Martin, who graduated in May with a Bachelor of Science in Marine Science, a minor in English and a MOP certificate, wants to become a science writer. Lee, a senior, seeking a Bachelor of Science in Marine Science and a MOP certificate, is still considering her career path. The UH Hilo internships are made possible through a memorandum of agreement (MOA) with the NOAA PMNM Division and are available to MOP students who complete the two-week field SCUBA diving course QUEST (Quantitative Underwater Ecological Surveying Techniques). The agreement provides funding to hire up to four students each year to work on the RAMP cruises. Lisa Parr, Instructor of Marine Science, MOP Site Coordinator at UH Hilo, and Principal Investigator on the MOA says the research opportunities the program provides to work with established scientists on important research prepares the students well for careers in marine science. “Our partnership with NOAA provides an invaluable opportunity for our students, who consistently receive outstanding reviews for their performance on the cruises, and we’re extremely proud of how well they represent UH Hilo, the Marine Option Program, and QUEST,” Parr said. https://www.pifsc.noaa.gov/cred/pacific_ramp.php. For more information on the UH Hilo internships with NOAA email lparr@hawaii.edu. Tomorrow, Tuesday October 10th, the University of Hawaii Hilo registered group Global Hope, will be showing a nation-wide streaming of Bernie Sanders proposed legislation to make public colleges and universities tuition free. The presentation will be at 7:00pm at University of Hawaii Hilo in UCB 100. Many in Hawaii support Bernie Sanders and will be interested in this proposal. The next scheduled program in the Maunakea Speaker Series will be held Tuesday, October 17th from 7 pm to 8 pm at UH Hilo Science & Technology Building (STB) Room # 108. Is Maunakea volcano the tallest volcano in the world? Or is there another side of the story? Ken will unravel what we know about the growth and evolution of Maunakea volcano and its complicated relationship with its nearby siblings Kohala and Maunaloa. Dr. Ken Hon is Professor of Geology and Interim Vice Chancellor for Academic Affairs at the University of Hawaiʻi at Hilo. Ken is an enthusiastic instructor of courses including Physical Geology, Volcanoes and Earthquakes, Geology of the Hawaiian Islands, Mineralogy, Petrology, Volcanology, and Remote Sensing; with his research focusing on these same topics. The Maunakea Speaker Series is free and open to the public. On-campus parking is open and available without charge after 4:00 pm. Enrollment at the University of Hawaiʻi’s 10 campuses dropped slightly in fall 2017 to 51,674 total students, a decrease of 1,746 students, or 3.3 percent compared to fall 2016. UH West Oʻahu is up 4.9 percent to 3,082 students, continuing the trend that began in 2012 when the school moved to its Kapolei campus. UH West Oʻahu was recently recognized as the fastest growing public baccalaureate campus in the nation. Windward Community College enrollment remained unchanged, while the other eight campuses experienced varying declines. The overall decline was no surprise, as UH continues to graduate more students on time while competing for students with a tight local labor market experiencing extraordinarily low unemployment. University leadership remains committed to reversing the enrollment declines through a proactive enrollment management program informed by statewide data and analysis. Eighty-two student pharmacists will hear words of inspiration from the president of one of Hawaiʻi’s few remaining independent pharmacies at this year’s University of Hawaiʻi at Hilo Daniel K. Inouye College of Pharmacy (DKICP) White Coat Ceremony on October 8 in the UH Hilo Performing Arts Center. The event, which takes place from 2-4 p.m., is open to the public. Kimberly Mikami Svetin, the third president in the 82-year history of family-run Moloka`i Drugs, will be the keynote speaker. Svetin will give the student pharmacists her view of “how to get the most out of life.” She also plans to talk about how the pharmacy staff at Hawaiʻi’s oldest independent pharmacy focuses on the community and how that benefits their personal and professional lives. The ceremony, where new student pharmacists recite the Oath of a Pharmacist, signifies a rite of passage for individuals entering their first year in the professional program. Students will be cloaked with a white coat symbolizing their student status and the values of the profession. Three pharmacy residents who are continuing their training with DKICP faculty on Kaua`i and O`ahu, as well as a new Ph.D. student at DKICP, also will take part in the ceremony. Ka Haka ʻUla O Ke`elikōlani College of Hawaiian Language will perform the mele ho`okipa, or welcoming chant, Ua Ao Hawaiʻi. The students will also be addressed by UH Hilo Interim Chancellor Marcia Sakai and DKICP Dean Carolyn Ma. The event is sponsored exclusively by Walgreens. Erin Samura, Pharmacy Manager from Hilo, will speak on behalf of Walgreens. A new Distance Education (DE) Option for the Bachelor of Social Work (BSW) degree delivered by the University of Hawai’i at Mānoa will launch in Fall 2018, providing increased accessibility for students statewide to pursue the degree. Developed by the Myron B. Thompson School of Social Work in partnership with Outreach College, the online degree is designed for eligible students who have completed the General Education Core Requirements and BSW prerequisites. Courses are offered in a five-week, asynchronous format that allows for flexibility and busy schedules. Students take the online courses sequentially as a cohort, and practice real world skills under the supervision of social work professionals in community agencies. • Maui. UH Maui College, 9/20/17, 9:30 a.m. to 1:30 p.m., Transfer and College Fair, Ka Lama Building. Also, 2 to 3 p.m.: Outreach College on Maui hosted session in HITS (for Moloka‘i, Lāna‘i, Hāna and Lahaina). • Hawaiʻi Island. Hawaiʻi Community College Manono Campus (Hilo), 10/03/17, noon to 1 p.m., Building 379A, Room 6B. Hawai‘i Community College – Palamanui (Kona), 10/03/17, 5:30 to 6:30 p.m., Koali 101. • Kauaʻi. Kaua‘i Community College, 10/06/17, noon to 1 p.m., Learning Resource Center, LRC-124B. For more information, contact the Myron B. Thompson School of Social Work at (808) 956-9470 or by email sent to sswde@hawaii.edu. Chrisovolandou Gronowski, a senior psychology major and chemistry minor at the University of Hawaiʻi at Hilo, has been awarded the Audrey S. Furukawa (ASF) Study Abroad Scholarship in the amount of $1,000 for the fall 2017 semester. Gronowski, a Pahoa High and Intermediate School alumna who carries a cumulative 3.96 grade point average, is currently attending Anglo-American University in the Czech Republic. The ASF Study Abroad Scholarship was created to provide a UH Hilo student with the opportunity to study abroad and begin their global education journey. The recipient must have at least a 3.2 GPA with preference given to Hawaiʻi high school graduates. To help support future students from Hawaiʻi to study abroad, or to learn more about the study abroad program, call UH Hilo’s Center for Global Education and Exchange at 932-7489 or visit www.hilo.hawaii.edu/studyabroad/. The Candidate Advisory Council (CAC) of the University of Hawai‘i Board of Regents has initiated the recruitment process for four (4) seats on the Board of Regents. Nominations are now being accepted for one (1) At Large seat; one (1) Hawaiʻi County seat; and one (1) Maui County seat for five-year terms. Nominations are also being accepted for one (1) Student seat for a two-year term. All terms begin July 1, 2018. Candidates for the Hawaiʻi County and Maui County seats must reside in the geographic area that they represent. Candidates for the Student seat must be a University of Hawaiʻi student. Application materials, procedures and descriptions of regent responsibilities are available online at www.hawaii.edu/rcac. This information may also be requested by calling (808) 692-1218 or by email at borapp@hawaii.edu. Completed applications must be received by CAC or postmarked by 11:59pm on Friday, October 13, 2017.